Though the dividends on ETFs will be credited into the subscribers account but the members would be able to realise the entire rate of return on these equity linked investments at the time of withdrawals. The subscribers will also have the option to withdraw money while taking advances from their accounts, either by liquidating ETF units or from cash component. The finance ministry has been nudging the labour ministry to align the EPF rate with its small saving schemes like public provident fund. 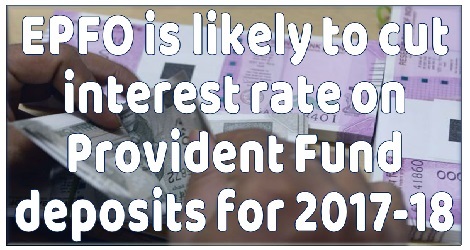 In December last year, the EPFO trustees had decided to lower the rate of interest on EPF to 8.65 per cent for 2016-17 from 8.8 per cent provided for 2015-16.